This mix of gold, silver, warm gray, and an almost blush champagne make for a great point of inspiration for neutral and metallic wedding color scheme and attire! 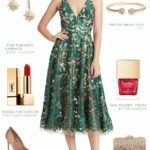 Throughout this post affiliate links from our retail partners like Minted and Nordstrom are used. They are underlined and highlighted in italics. It’s a little-known fact that when I first started Dress for the Wedding, the original intent was to match a wedding attire idea to a wedding invitation in the collage. 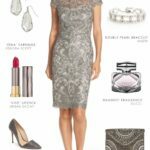 At first, I wasn’t sure where to get images of some invitations, so I started focusing on mainly on the attire, and as time went on, I was able to include wedding invitations as a part of the collages. I still include invitations on the bridal and bridesmaid posts, but sometimes I feel like the pretty details I’m drawn to in the invitations don’t stand out in the small thumbnail size version you see in the collages. 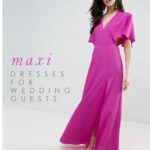 For instance – and to perhaps prove the point — the invitation I’m focusing on today was featured in yesterday’s wedding dress style inspiration. Did you happen to notice it? 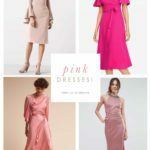 I’ve also been feeling lately like I’d like to dabble in a new format for inspiration boards (but the classic DFTW collage format for dresses and accessories will remain!) 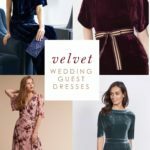 so I’m happy to now bring you a little series, that I hope will turn into a standard feature here on Dress for the Wedding – I’m calling it ‘Inspired by the Invitation’! 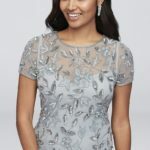 In these collages, the invitations will be front-and-center, so you can see all the pretty details – and I’ll be marrying them with a dress that I feel is their perfect match! 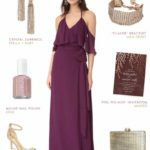 I’ll plan to also include accessories or other decor details too, but sometimes it’s fun for me to find the exact dress soulmate of the invitation! Why do I think invitations are so important? When I was planning my wedding, buying the Save the Dates and creating the invitations was one of the first unchangeable decisions I made that was clear indicator of the style of our wedding, so I feel they are such an key element to design. The invitation is one of the first hints your guests will of your color scheme and formality! While it’s not essential that your invitation exactly match the color of everything you have in your wedding (a worry I had at the time), it’s still nice to have the paper goods you choose reflect elements of the style of your wedding, and carry through from the Save the Date to the thank you cards. I also just have a life-long love of the artistry of paper products, and I think today’s couples are so lucky to have so many creative choices beyond the standard heavy ecru paper and black ink of yesteryear! 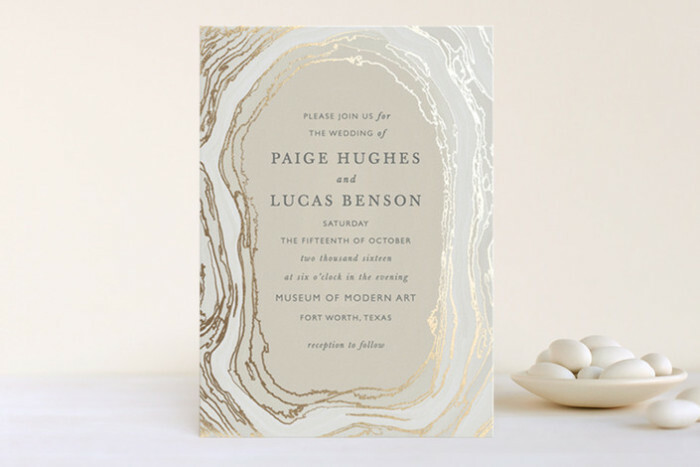 Today’s feature invitation: ‘Gilt Agate’ Invitation from Minted don’t miss Minted’s FOIL event! 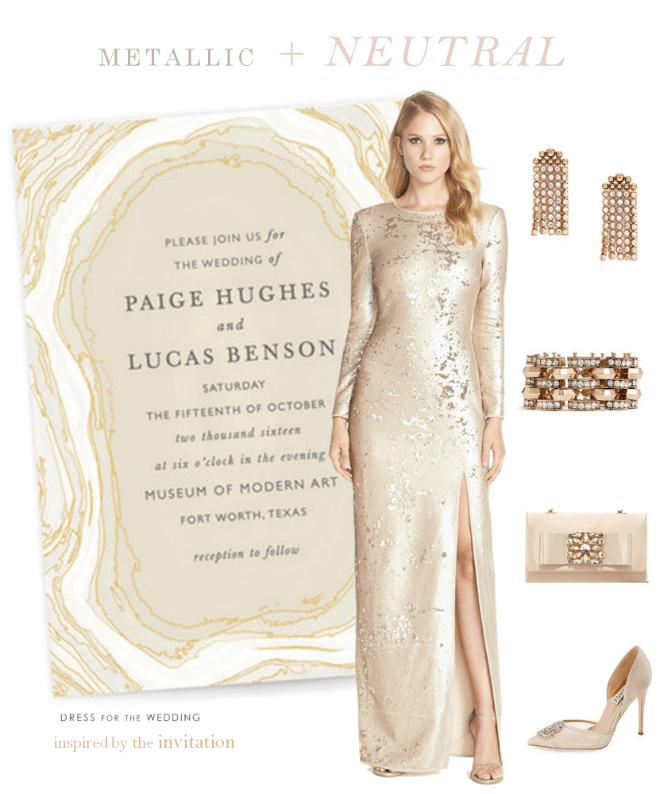 20% off of foil pressed invitations! I hope it’s clear why I chose this gown to pair with this invitation . The beautifully varied natural patterning of the golden flecks in this gown perfectly mirror the irregular, beautiful natural shape of the agate rings of the geode-inspired invitation. It’s the perfect mix of organic, natural inspiration and a completely luxe and elegant look. 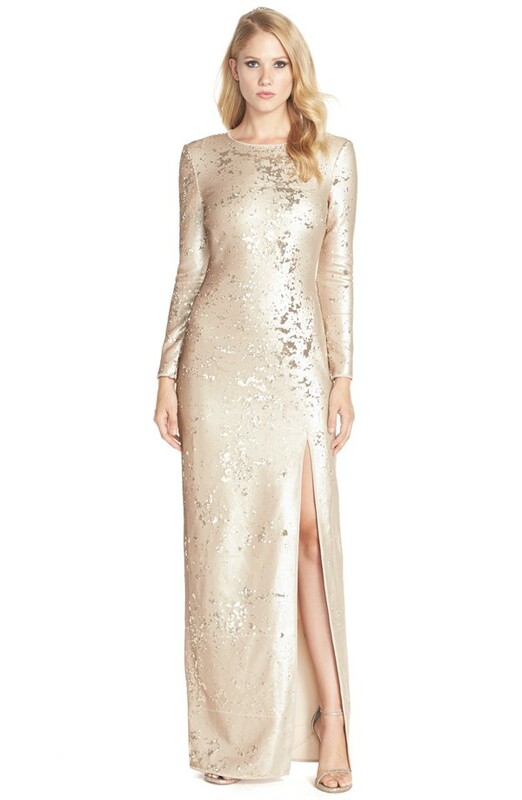 This gown would make a terrific second gown to change into at the reception, or a dazzling mother of the bride gown, or a beautiful formal gown for upcoming holiday formal events. To support this blog, the shopping links in italics go to retailers who are affiliate retail partners and sponsors. This blog may earn a small referral commission if a qualified sale is made. Happy Shopping! Another new feature: I’ve been terrible about updating my sale notification page regularly, so I’ve decided instead to try to include some of the sales I’ve noticed while doing my rounds while creating daily posts. 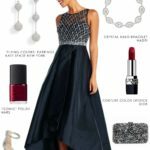 I hope this will help you find attire for less! Affiliate sponsored links are used. Minted’s foil event! 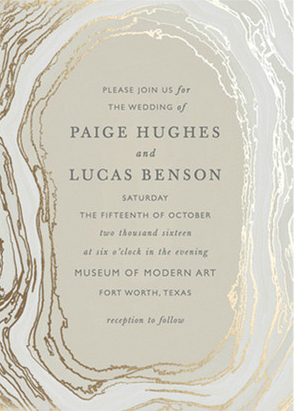 20% off of foil pressed invitations through 11/16 with code FOIL!